We were contacted by Leeds College of Art recently, to ask if we would help them with their graphics which we were delighted with. We were consulted by a graphic design agency who did the actual designs of the pieces and we did the prints and the installations. So, we printed on to vinyl and then on to matt laminate before installing the signs in Leeds College of Art. Leeds College of Art is one of very few independent art schools that the UK has to offer and is now the highest ranking independent art college in the UK by the Guardian. It offers a close knit communal atmosphere to its student because it is believed that this is the best environment for them to grow in as artists. Many interesting people have been studying here since 1846 and these include recent familiar names, such as, Henry Moore, Barbara Hepworth and Damien Hirst. Wide format digital printing is used in order for many different kinds of products to be printed and this is not limited due to their size either. 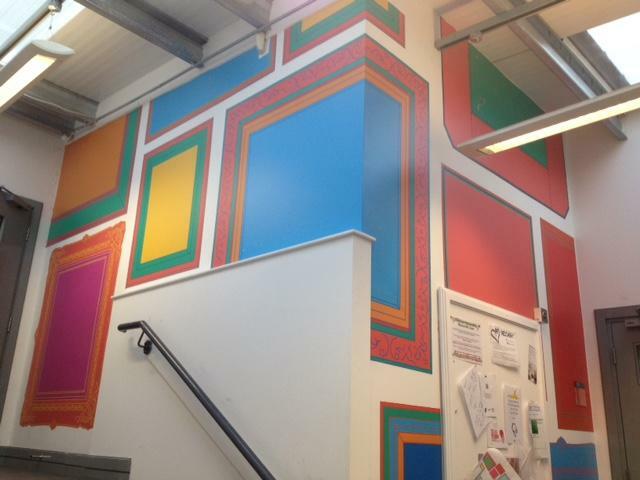 Things like PVC banners, board graphics, bespoke wallpaper, graphic flooring and vinyl products, like the ones used at Leeds College of Art can all be undertaken with ease. Any graphics, images and text of your choice can be added, too, and often graphic design agencies send complex designs for us to print. The final products are printed to a very high resolution using the latest technology. If you want to stand out from the crowd, then this large format digital printing is definitely the desired look for you!